Michael Johnson knows how it feels to count down the days to the start of the Olympics. After all, he's competed in three of them for Team USA and won four gold medals in track and field along the way. Even his running shoes captivated a worldwide audience; he broke the world speed record for the 200 meter race in 1996 wearing a pair of golden Nike (NKE) sneakers. "I had two versions of the shoes -- the ones I wore to the 1996 Atlanta games weren't real, but the pair I wore in the 2000 Sydney Olympics were actually gold." Michael Johson [far right] helping train young athletes at his facility. 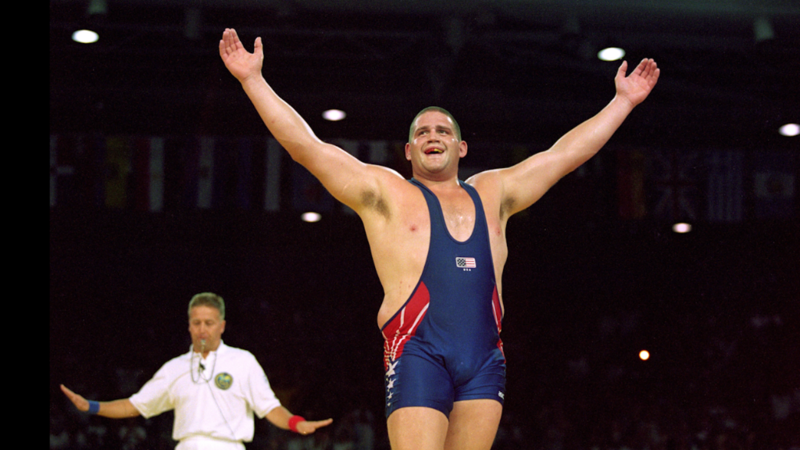 But Johnson, who retired from competition in 2001, is now heading to the 2016 Summer Olympics -- which kick off on Friday in Rio De Janiero -- with a very different mission. Although he'll be a commentator for the BBC, Johnson will also keep close eye on the 50 athletes who trained for the games at his facility in McKinney, Texas, and its global satellite offices. 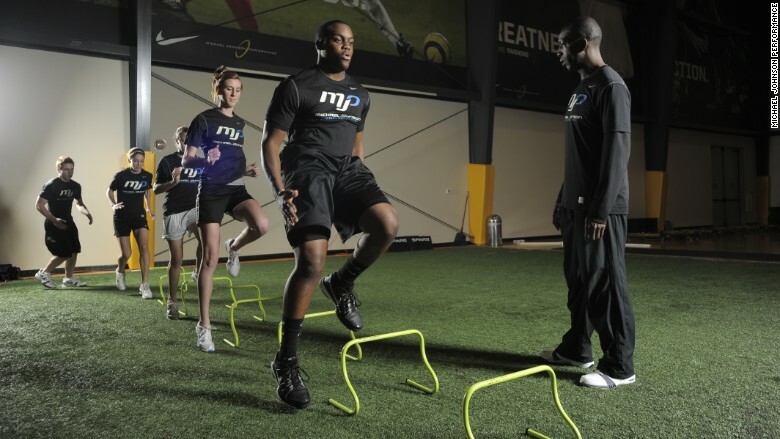 In 2007, Johnson opened Michael Johnson Performance (MJP), an elite development facility that provides training and support services for amateur and professional athletes. It also offers a variety of youth programs for kids 8 to 18 who want to play sports without necessarily turning it into a career. But in March, Johnson got more serious about putting the word out about his initiatives by teaming up with Google (GOOG) and its AdWords platform for small businesses. 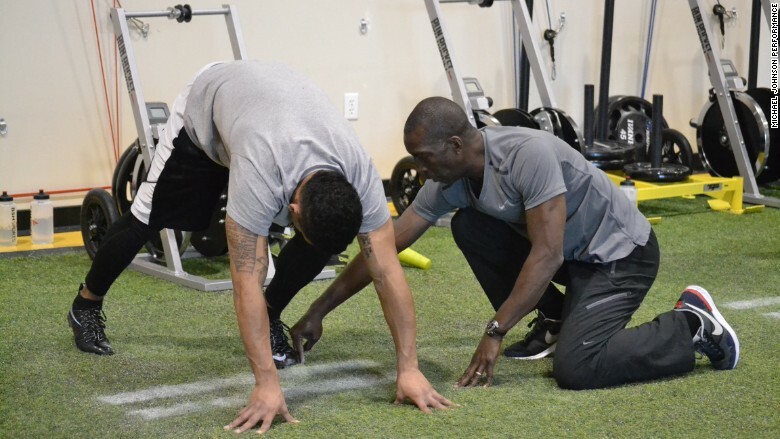 Michael Johnson training athletes at his facility in McKinney, Texas. "We weren't effectively marketing ourselves on the internet at the time," he said. For a niche business like MJP, the challenge was to improve its online presence, specifically on mobile search, boost its ad campaigns and subsequently increase online registrations. Using AdWords, Google helps create and manage MJP's digital campaigns as a free part of the service. More than one million advertisers are currently using AdWords, a model in which a business pays a fee when someone clicks on an ad and is redirected to its site. By working with Google, Johnson wanted to make the facility -- a 24,000-square-foot center packed with the latest technology and equipment, an outdoor pool, a four-lane indoor track, underwater treadmills and a nutrition center -- more discoverable for parents online. "Kids involved with sports are more likely to live a healthy lifestyle, stay away from doing drugs and do better in school," Johnson said. "I've benefited greatly from sports programs in my school, but so many schools no longer offer them." 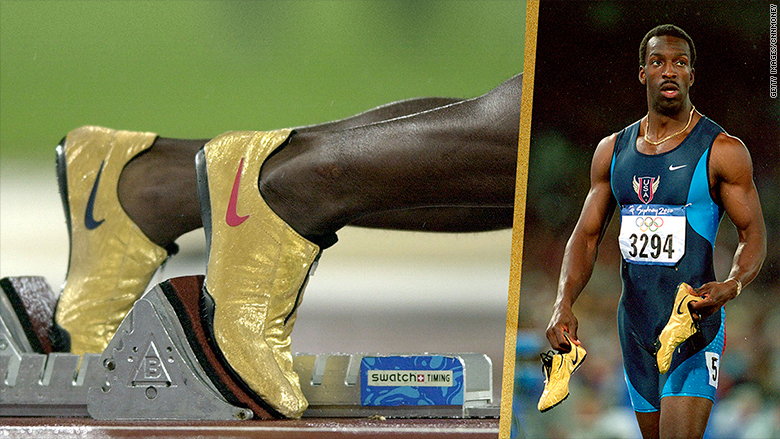 Michael Johnson wore Nike shoes made with real gold when he competed in the 2000 Sydney Olympics. 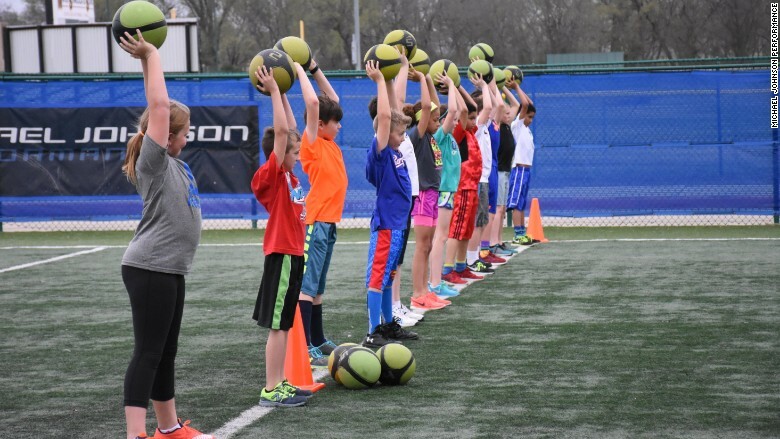 Some of MJP's summer youth programs include a soccer camp and one that improves agility and fitness. The center also partners with local schools to supplement their sports programs. Rajiv Rana, Google's sales director of Americas Small Business division, helps small businesses like MJP adapt to an increasingly mobile-dominated world. "More searches are happening now on mobile than desktop, and this is changing how businesses are interacting with consumers," he said. Kids participating in youth programs at Michael Johnson's sports training facility. In just four months, Google has helped the organization's site and YouTube channel become more discoverable. As a result, MJP has seen a 23% increase in business volume, an 8% increase in revenue and a 12% increase in new customers. While more than 1,000 kids are enrolled across MJP's youth programs, Johnson hopes the revamped digital outreach will help boost that number quickly. "With our youth programs, we're not looking for the next LeBron James, Michael Phelps or Tom Brady," Johnson said. "We're teaching them to enjoy a healthy lifestyle, which is important for any career they choose."